Layer Effects are great in Photoshop, but sometimes you may need to apply another such effect to a layer that already has Layer Effects applied. For example, a Pattern Overlay may require another Pattern Overlay. What can we do? It’s astonishingly simple really: we convert the Layer Effects to discreet layers. Here’s how to do it. 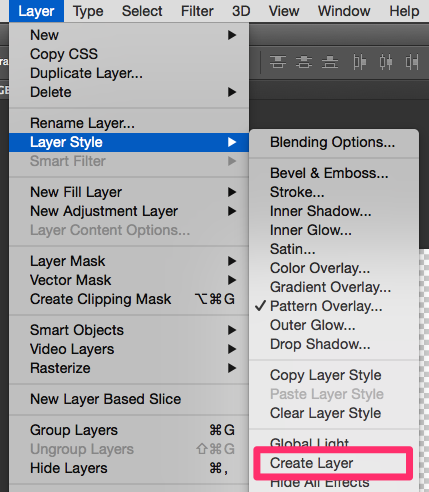 Select this layer and head over to Layer – Layer Style – Create Layer. The result you’ll get will depend on what type of effect was applied. 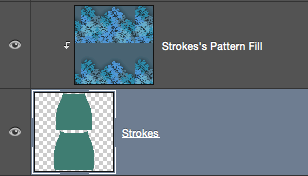 In my case, I’ll get a flood-filled layer with the pattern applied as a Clipping Mask. My image will still look like it did before, but I now have one or more separate layers to which I can apply other effects. Nice! We can combine these two (or even more) layers into a single one: to do so, select all layers in question and head over to Layer – Merge Layers (the shortcut is CMD+E).